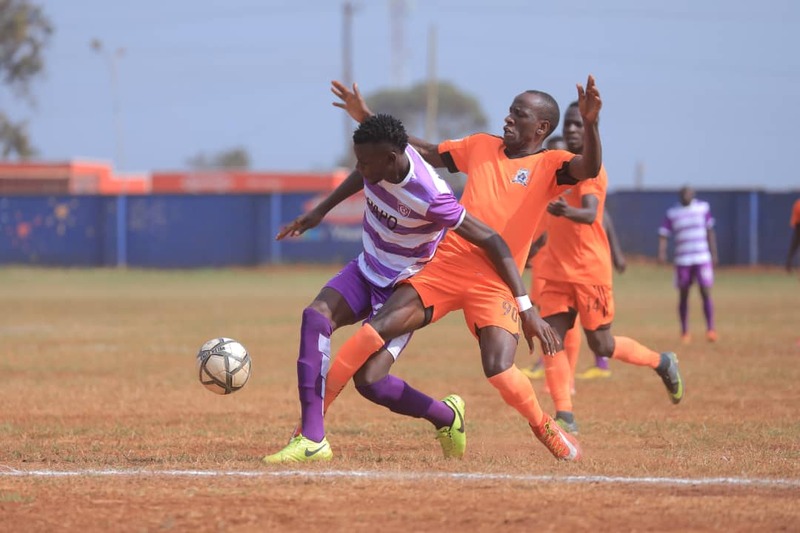 BUGEMBE – Wakiso Giants defeated Tooro United 4-2 on penalties to reach the Stanbic Uganda Cup quarter finals. After a barren 90 minutes, the Big League Money-Bags converted all their four spots while Tooro missed twice. Both sides started slowly with most of the possession concentrated in the midfield. The first notable chance of the game came on 15 minutes with Tooro’s Godfrey Lwesibawa blasting over after turning swiftly in the Wakiso area. On 21 minutes, Steven Omvia tried his luck from distance but his effort was saved comfortably by Ivan Mutumba in the Wakiso goal. Moments later Lwesibawa sent in a cross from the left but was tipped over by Mutumba. Tooro were asking all the questions at this stage and Captain Willy Kavuma squandered the best chance of the first half, blasting over from close range after the home side failed to deal with Lwesibawa’s long throw in. At the other end, Yasin Mugume tried his luck from distance but his effort was dealt with comfortably by Tooro goalkeeper Joel Mutakubwa. Five minutes to the break, Hakim Ssenkumba was booked for tagging back Musa Mukasa as the right back tried to kick-start a counter. At halftime, neither side would find the break through with the scores deadlocked at 0-0. A minute into the second half, Steven Bengo beat two Tooro players down the right but his left footed shot went wide and over. With six minutes of the second half played, Tooro made the first substitution of the game with Willy Kavuma replaced by John Byamukama. Moments later, Tooro’s Lwesibawa was shown a yellow card for decent after a foul was called against his side. Wakiso also made a substitution of their own with Adul Karim Kasule replacing Mugume. On 63 minutes, Kasule was booked for a nasty foul on Tooro left-back Issa Mubiru, becoming the third player to go into the referee’s book. With a break through not looking like coming anytime soon, the home side made two two quick-fire changes which saw Kiwewa and Ivan Ntege replace Bengo and Duff Lubobi respectively. On 71 minutes, Tooro Allan Kayiwa failed to pounce onto a loose ball in the Wakiso area, scrapping the ball wide from close range following Lwesibawa’s corner. Tooro missed to chances in succession, first Lwesibawa shooting over from just inside the area and then Lumu heading wide off a free-kick from the right. With 6 minutes to play, Ndugwa had a speculative effort fly agonizingly wide after he was teed up by Ntege, 25 yeards from goal. On 88 minutes, Mahad Yaya unleashed a ferocious strike from distance which rattled the cross bar with Mutumba clearly beaten. Omvia could not pounce on the rebound as he was instantly flagged offside. Tooro brought on Baker Buyala to replace Omvia straight after. With the game headed to penalties, Tooro introduced Joshua Kalisa in place of Musa Mukasa in their final change. During penalties, Tooro missed twice as Mubiru’s effort was saved while Byamukama struck the cross bar. For Wakiso, they converted all their spots. Victory sees Wakiso reach the semi finals of the competition on the first time of asking.